Hear is proof there are still some big fish in the back bay. 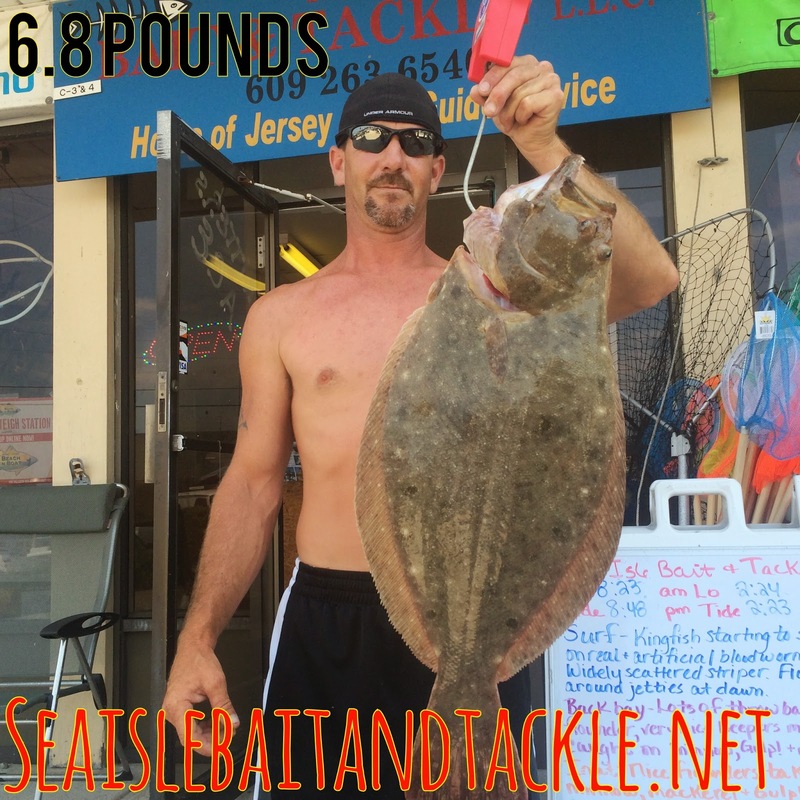 Jim W from Williams Town was just in to get this nice flounder weighed in. It tipped the scales at 6.8 pounds VERY nice fish. He said they had a couple other keepers and a bunch of throw back also. Now that the crappy weather has moved out for now we are getting some more good reports from the bay. We have 3 new companies whose products should be on the shelves buy this weekend. The first of witch is Deep ocean appeal we will be carrying long sleeve and short sleeve T-shirts for both men and women, board/fishing shorts, hats and visors from this supper cool up incoming company. 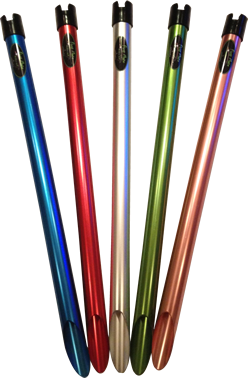 We are also bringing in a line of aluminum sand spikes that are in several colors including Green, blue, pink and orange. last but not least if you are an wreck / grapple anchor person you are going to want to check out the new anchor we are carrying they are 100% aluminum they come coated and uncoated and with a 2 year warranty.